The Epso Accuracy and Precision test is one of the challenges proposed by EPSO for AST 1 and AST 3 (Assistants) EU Competitions during the preselection phase. Anyone who wants to be an Assistant or at the Council of the European Union, European Parliament, European Commission or any other EU institution needs to pass this test during the preselection. What Does the EPSO Accuracy and Precision Test Involve? The EPSO Accuracy and Precision module is quite unique in its nature as this type of aptitude test is rarely used by other recruiting organizations. The major challenge is that the test consists of 40 questions that need to be answered in six minutes. Despite the fact that the candidates will have to take the test in their second language -a choice between English, French or German – the test does not pose particular language comprehension problems. Considering the very short time limit, the test requires incredible concentration. The following lines will provide you with some tips on how to succeed when faced with this challenge. Some people may say that, considering the necessary average time of 9 seconds per question, the EPSO Accuracy and Precision test is impossible to solve. However, the questions are visual and are generally very easy to answer. 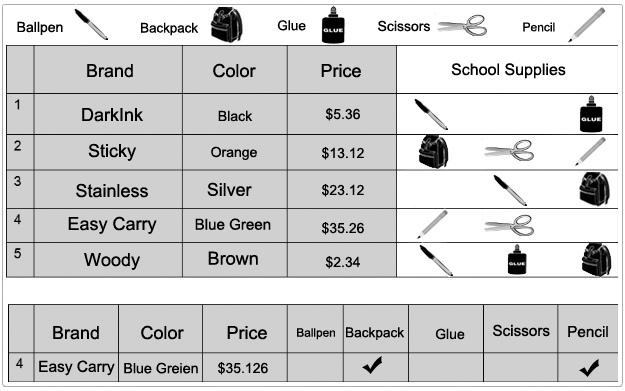 For each question, candidates are given two tables, one of which contains an error. Their challenge is to spot the error as quickly as possible. It normally takes just a fraction of a second before the image of the two tables is analyzed by the eye, and then by the brain. The rest of time should be used for spotting the actual errors as some exercises involve multiple errors, which is the problem most candidates deal with. And the reason why most of them find it difficult to provide answers to the questions proposed in this test is that they are overthinking. One of the best suggestions you can consider when preparing for this test is to avoid analyzing the images too much. A six-year-old would have a better chance for a high score in the Accuracy and Precision exercise, and this is not because his or her brain is more agile. Instead, children tend to see the errors in the tables without questioning them and without thinking too much about it. This is the approach you should consider. The keys to success are to avoid analyzing the images too much and to follow you instincts. The fact that the EPSO Accuracy and Precision test requires great concentration is no longer a secret. And, since you will have better chances to pass if you answer all questions, you should make sure all your attention is on the two tables in each question. With this challenge, one of the qualities the EPSO wants to assess in their candidates is their ability to remain in control and focus on a problem, regardless of the circumstances. Exercising your stress-management skills will, therefore, be to your advantage when it comes to taking this test. Do not waste time on a particular question just to get it right because you can, as this will eat into your time on subsequent questions. If you don’t see the obvious answer, move on to the next question. Remember, it’s all about speed. 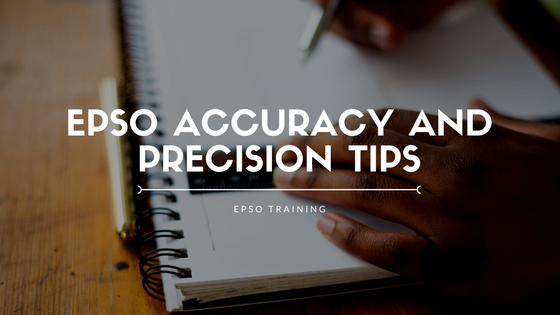 Now that you went through the tactics involved in mastering Accuracy and Precision tests, it’s time to practice some free epso accuracy and precision tests to get yourself accustomed with the questions. Since the format of our EPSO accuracy and precision tests are more or less similar, more practice means a more instinctive ability to answer the questions in the shortest time possible. When it comes to EPSO Competitions it is not always easy to succeed on your first try, but not impossible either. Speaking from personal experience, I consider that these several steps taken before the exam which could improve your chances. 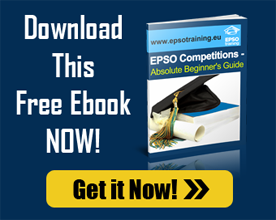 Understand the Epso Exam structure – Do EPSO Account, CBT, SJT, AC, Interview, Reserve List ring any bell? Do you know how these link between themselves? Is there an order between all these? Are there any special cases where the EPSO selection procedure might be slightly different? These would be among the first questions a potential EPSO candidate would pose himself before applying. The response to all these questions you’ll find by browsing EPSO Site, our site and other internet resources. If you already have some experience with EPSO Competitions you can directly head to the notice of competition from the Official Journal. Know the 4 W’s – Who is eligible? If you want to apply you need to make sure that you will meet the eligibility requirements – general and specific. Those are usually expressed under 3rd chapter of a notice of competition. What will the whole selection process consist of? When will it take place – know when you can start applying, what the deadline for applying is and when will you will then be scheduled for the exam. Where will the exam be held? You need to know where each phase will be held. 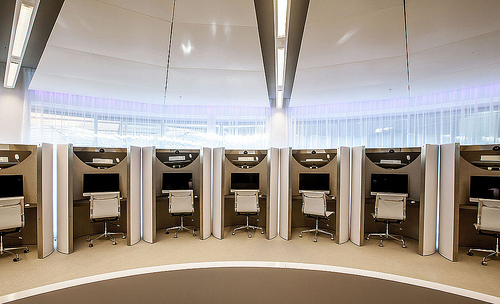 It is usual that last phases of the competitions are held in Brussels but initial exams are held in numerous different cities. Does your city have a EPSO Test site or will you have to arrange for travelling to the nearest test site? Closely follow EPSO communications with candidates – After registering for the competition you will receive notifications from EPSO (on application validation, booking of preselection exams, etc). You need to pay close attention to the messages especially those concerning deadlines. A considerable number of candidates found themselves disqualified only because they forgot to either validate their application or the scheduled date for the exam. You wouldn’t want this to happen. Benchmarking – Wouldn’t it be useful to actually know what to expect in terms of competition, candidates, available places? Before taking the exam , I would use history of EPSO competitions as a predictor of what is to be expected in the future. I would try to estimate the pass mark for the preselection tests to know what I would need to score and I would look into the ratio between registered candidates for the competition and the number of places on the reserve list. If you look at 2011 and 2012 statistics you will have an idea of what goal you’ll need to fulfill. It’s all about training or practice makes perfect. Or, at least good enough to pass the preselection tests 🙂 I’ve saved this tip for the last as I consider it the most important. Preselection tests are the most important step of the selection process as they are the most difficult in terms of competition. If during the assessment centre phase you’ll find yourself usually competing against 2 more candidates for the reserve list, during the preselection phase, you could even be competing against 99 other candidates. Knowing already the structure of the tests, the time needed to complete those tests, how the tests and the computer test interface look like is a great asset in your challenge of passing the EPSO Exams. What about you? What are your thoughts now after taking your first EPSO Competition? Share your thoughts!